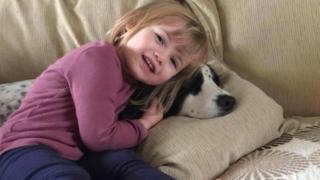 Two-year-old Faye Burdett died in 2016 - she was too old to have the vaccine. An 820,000-signature petition calling for all children to be vaccinated was then submitted, - but the idea was rejected as "not cost effective". Health Minister Steven Brine was due to face questions from MPs on Tuesday over why the report into the cost-effectiveness of immunisations - promised by the end of 2016 - still had not been published. Commenting on the publication, Helen Jones, who chairs the Petitions Committee, said: "Since 2016, the Petitions and Health Committees have been urging the government to publish this report - so we are pleased that it has finally done so.